Show off your Mardi Gras beads at your party or celebration. 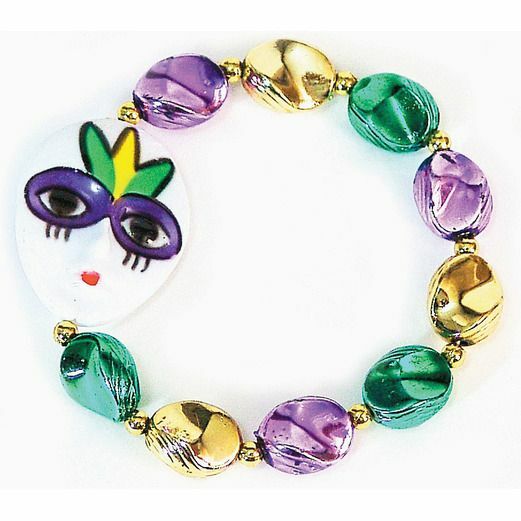 The Mardi Gras Mask Bracelet is perfect to wear for any Mardi Gras party and will surely dress up any outfit. This bracelet is also great to hand out as a party favor.